Darren Smith joined the Mill Valley music department in 2013. 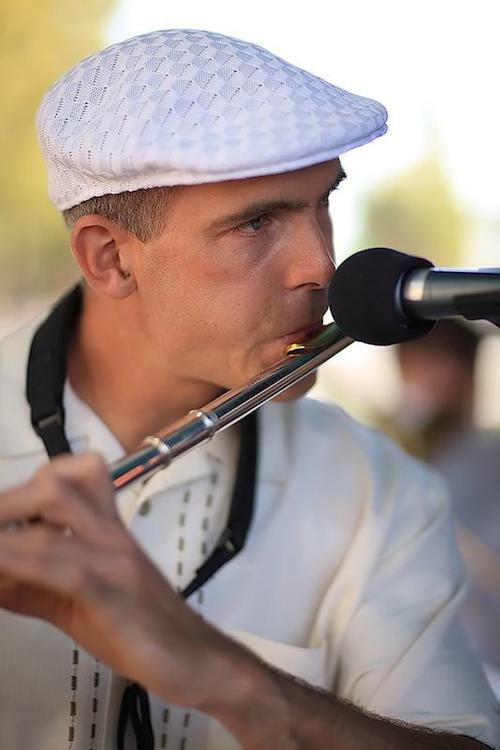 He previously taught K-5 music for 14 years in the Alameda Unified Schools. Smith first discovered the joys of working with kids in Taos, New Mexico, where he spent several years teaching in an outdoor science camp in the summer and in the children’s ski school during the winter. Music has long been an important part of Smith's life; he decided to take up the saxophone after seeing the bar scene in Star Wars at age 11. In 1998 Smith realized that the closest he could come to the intergalactic cantina on Planet Earth was San Francisco, so he moved to the Bay Area and started mixing it up in the local music scene. He has had the good fortune of performing and recording with some of the Bay Area’s top musicians in the Jazz, African, and Latin scenes, including Swoop Unit, Orquesta Dharma, Omaya, The Afrocuban Jazz Cartel, Rumbache, and he frequently plays with artists visiting from Puerto Rico and Cuba. When Smith is not playing music, he enjoys being at the beach, in the snow, or on his mountain bike. Smith lives in Fairfax with his wife, his young son, 2 dogs, 5 chickens and a yummy garden. Here in Mill Valley Smith teaches general music and runs the 5th grade band program at all the elementary sites.